A very easy, one pot dish. Heat the oil in a heavy based saucepan over medium heat. Add the onion, ginger and chilli. Cook for 1 – 2 minutes, stirring regularly, until the onion is soft and the mixture is fragrant. Add the water, tomato paste, fish sauce, oyster sauce, rice wine vinegar and sugar to the pan, increase to high heat and bring mixture to the boil uncovered. 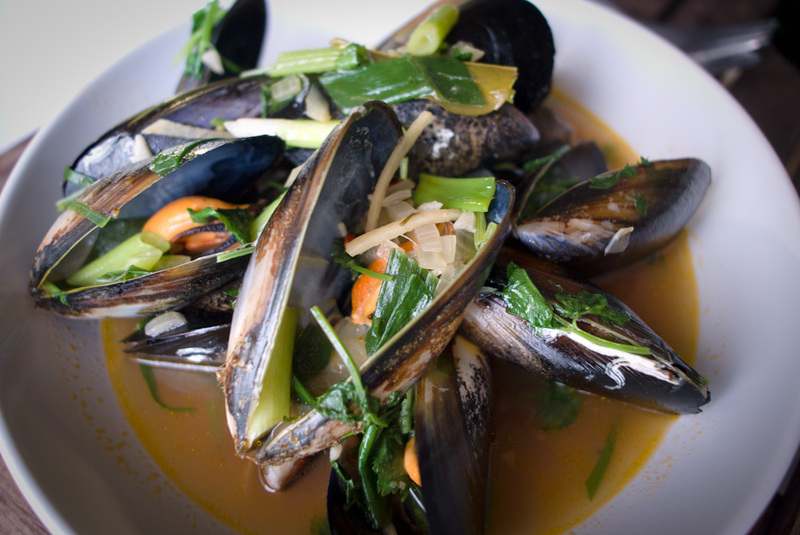 Add mussels to the pan, cover and cook for 2 minutes. 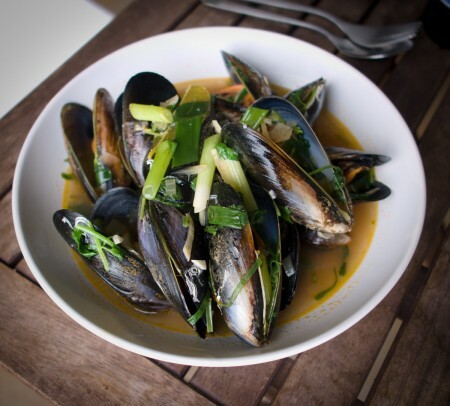 Working quickly, add the coriander and green shallots, stir through evenly, cover and cook for a further 2 – 3 minutes, until the mussel shells open. Discard any unopened shells. Ladle mussels and sauce into bowls. Serve with steamed rice to mop up the sauce. I’m digging the Asian flavours, this sounds seriously good! Plus you gotta love a one-pot dish.